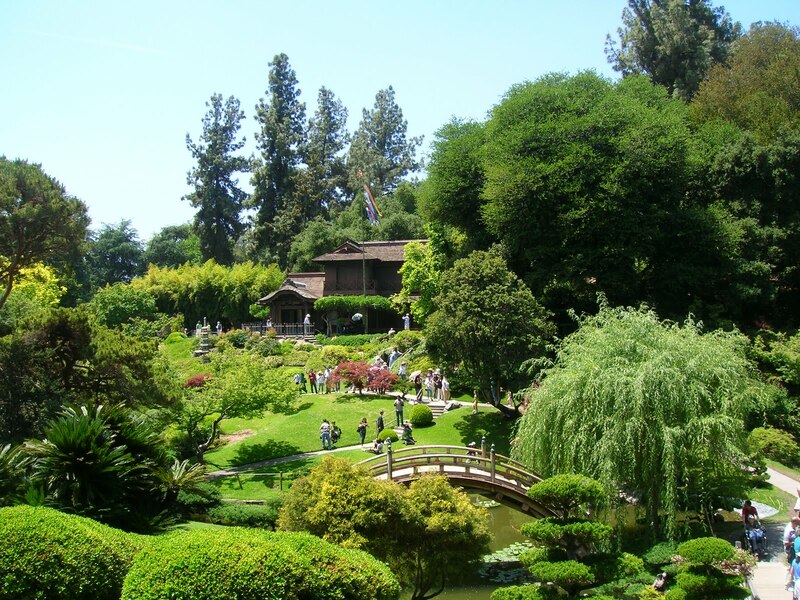 The Huntington Library, Art Collections and Botanical Gardens is a collections-based educational and research institution established by Henry E. Huntington, (1850–1927), and located in Los Angeles County at San Marino, California, near the Pacific Ocean western coast of the United States. In addition to the Library, the Institution houses an extensive art collection with a focus in 18th and 19th century European art and 17th to mid-20th century American art. The property also includes approximately 120 acres of specialized botanical landscaped gardens, most notably the "Japanese Garden", the "Desert Garden", and the "Chinese Garden" (Liu Fang Yuan). In addition to its 120 acres of beautiful botanical gardens that showcase plants from around the world, the Huntington reduces water consumption and improves efficiency through several different methods, such as low-flow sprinkler heads and nozzles that are set to run based on factors like plant type, soil type, slope, exposure to sunlight, and data that measures a plant’s moisture. Additionally, the Huntington has reduced its groundwater rights by 30 percent over the last five years in an effort to help raise groundwater levels throughout the Raymond Basin. The Huntington has also made it a priority to use drought-tolerant plants for landscaping around new installations.